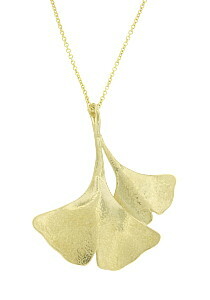 This elegant 14K yellow gold estate necklace features a double leaf ginko pendant. 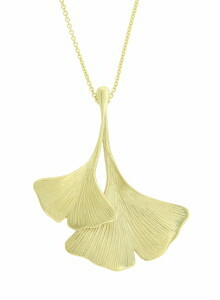 Delicate engraving details the golden leaves. The pendant measures 1 1/4" long, 1 1/4" wide. The fine linked chain is 18" in length. 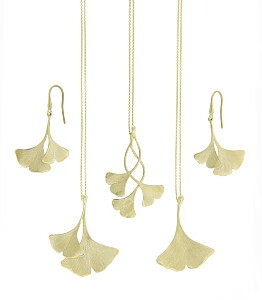 Our collection also includes matching earrings (ER1065), a single leaf ginko necklace (N822) and triple leaf ginko necklace (N827). All sold separately.